Today’s interview features fellow SF author Matthew Kressel. Matthew is a brilliant website designer who is currently at work on his first novel, based on the Jewish myth of the Lamed Vav. In 2011 Matthew was nominated for World Fantasy Award in the category of Special Award, Non-Professional for his work with Sybil’s Garage and Senses Five Press. Quite a few, but I’d say Ellen Datlow for her work ethic. Jeffrey Ford for his effortless storytelling chops and general affability. And if we’re allowed to consider dead people, I’d say Isaac Bashevis Singer for his ability to weave the fantastic so seamlessly into the mundane. I once wrote with two friends during a blizzard in New York City, and there was lightning and snow drifts seven feet high. We all went on to sell our work from that day, so I’d say a blizzard. Most Disciplined Person. Every attempt to arrange my life into neat little chunks of time usually ends in catastrophic failure. A spaceship of course. Unless my magical powers allowed me to create a spaceship. The Dream Quest of Unknown Kadath by H.P. Lovecraft. I must have read it a half-dozen times. I think I was in love with the idea that there was an entire universe Randolph Carter could escape to inside his head. During my teenage years that concept was more than a little enticing. Run. Run for your life. Orion, just because I have vivid memories of walking my childhood dog on winter nights and looking up at it. Perhaps not explicitly a fairy tale, I love the story of Shamir, the stone-cutting worm. King Solomon used his magic ring to trick Asmodeus, the king of demons, to tell him how to steal the tiny worm from a woodcock. Solomon used the worm to cut the blocks of the ancient Jerusalem temple because God forbade them from using weapons of war to craft it. About a decade ago I realized the corporate life wasn’t for me, and I started my own business with the intent that the flexible hours would allow me more time to write. I had no idea if it would work, nor how hard it would be, but I’m very proud of myself for having the courage to step away and follow my instincts. * I realize the chances of this happening are close to nil, however, a dude can dream. 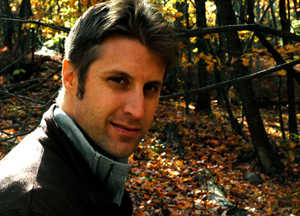 Matthew Kressel is a World Fantasy Award-nominated writer, publisher and editor. His stories have received multiple honorable mentions in various Year’s Best anthologies. His short stories have or will appear in such publications as Clarkesworld Magazine, Beneath Ceaseless Skies, Interzone, Electric Velocipede, Apex Magazine, and the anthologies Naked City, After,The People of the Book, and The Mammoth Book of Steampunk, as well as other markets. This entry was written by Princess Alethea and posted on July 24, 2012 at 5:00 am and filed under Interview. Bookmark the permalink. Follow any comments here with the RSS feed for this post.